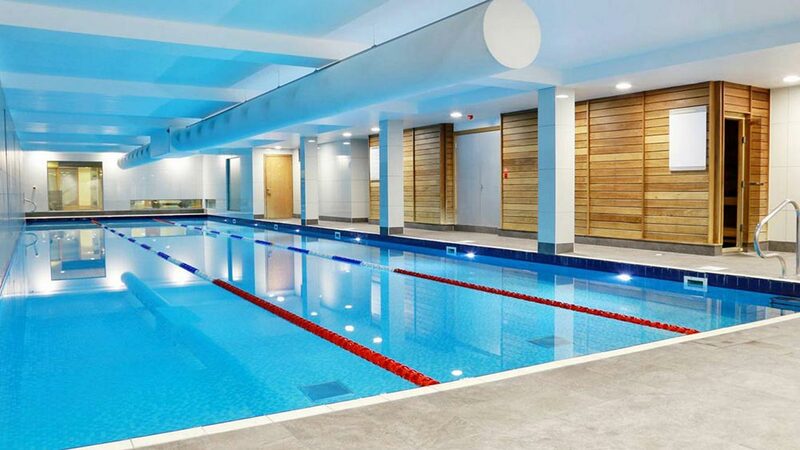 In the heart of Shoreditch, our 25-metre adult indoor swimming pool is the largest in the area. Set beneath the busy streets, it offers a calm and tranquil place to escape the hustle and bustle of the city. With 3 lanes, it’s suitable for both casual and serious swimmers. And because it’s a members-only pool, it rarely gets busy. The pool is comfortably heated to 29 degrees. We have a poolside steam room and sauna for a spot of relaxation too. For your convenience, our changing rooms have hairdryers and swimming costume dryers. We’ll also give you a complimentary towel on arrival each visit. Some of our personal trainers can even offer fitness in the pool, if you’d like to incorporate the water into your fitness programme. From time to time, one of our lanes might be used for private swimming lessons. There is no lane hire during our peak lunchtime and evening hours. At all other times, one lane might be in private use. Pool, sauna and steam facilities will close 30 minutes before the advertised closing time to allow members to change. For more detail and a chance to see this exclusive facility call 020 7739 6688 and book in your tour.